UK 12.5 EU 31 KIDS. 100% Genuine. Brand New Timberlands boots . Dispatched with eBay delivery – Shutl 2-3 days. Boys quilted Timberland boot. Condition is Used. Dispatched with Royal Mail 2nd Class. Upper made with premium nubuck leather from a Leather Working Group Silver-rated tannery. OrthoLite® footbed for cushioning and support. Using only the best quality for your little one, these boots are crafted with premium leather. Timberland Boots Boys Size 12.5 (kids) Sand Colour. Condition is good (Just a few marks on them) not bad at all. Loads of life left in them as you can see from the pictures. Any questions please ask I will try and help. Thanks for looking and please take a look at my other items. Timberland Boy Sandlas Shoes. Size: 31 EU 12.5 UK. Smoke and pet free item. Boys TIMBERLAND Comfort Navy Summer Sandals, UK Junior Size 11.5. Condition is Used. Dispatched with Royal Mail 1st Class. SIZE 6 UK INFANT. EG ASICS/ VANS ETC WILL HAVE A LINK TO THERE SIZE CHART BELOW. Boys Timberland Sandals Water Shoes Infant 10. Condition is Used. Dispatched with Royal Mail 2nd Class. These shoes are brilliant, they are lightweight, comfy and can double as water shoes. They dry really quickly. This is the third year my son has had a pair as I’ve found them so good. RRP is over £30. They are in excellent condition. 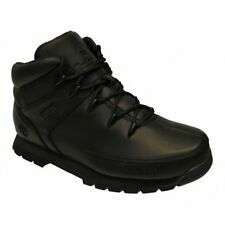 Boys Timberland Boots size UK2 / EU34.5. Condition is Used. Some marks on front as shown in pictures. Dispatched with Royal Mail 2nd Class. infant size 5.5 timberland boots . Condition is Used. Dispatched with Royal Mail 2nd Class. Timberland Boys Sandals. Size uk1.Condition is New with box. Perfect for the upcoming summer . The main colour of the sandals is navy with some yellow trimming on them. Please check out my other items . boys timberland sandals Size 11 Junior. Dispatched with Royal Mail 2nd Class. Kids timberland boots Size 9. Condition is Used. Dispatched with Royal Mail 1st Class. Sold as seen. Timberland 2 Velcro trainers in a good condition. Timberland boots size 12.5 kids black and tan used but in excellent condition. Toddler timberland boots Size 4,5 . Condition is Used. Dispatched with Royal Mail 1st Class. Boys Timberland Sandals Size 1. Condition is Used. Dispatched with Royal Mail 1st Class. Timberland Boots Kids Size 12 1/2 Boys Or Girls. Timberlad Boots Kids Size 12 1/2 . Condition is Used. Dispatched with Royal Mail 1st Class. Kids timberland. Worn twice. As my son didn’t like them. So them sat in the shoe rack. Hoping my daughter might wear them she would not even try them on. Minimal marks on them. Size 12. 1/2 ( child’s size. ). Condition is Used. Minimal wear, think once and son wouldn't wear them again! Boys Timberland Adventure Seeker 2 Straps Navy-Blue-Red Sandals Size UK 2. Dispatched with Royal Mail Signed For® 2nd Class. Boys Timberland Velcro Sandals Size 8.5. Condition is Used. Dispatched with Royal Mail 1st Class. Kids Timberland Boots Size 13M(UK), EU32 (EU) - VGC. Condition is Used. Dispatched with Royal Mail 1st Class. SIZE 11M INFANT. EG ASICS/ VANS ETC WILL HAVE A LINK TO THERE SIZE CHART BELOW. Kids Timberland Boots Infants Size Uk 4.5 . Condition is Used. Dispatched with Royal Mail 2nd Class. Boasting a premium waterproof wheat leather upper and a two layered sole with a gum rubber lug for traction and durability, these boots are perfect for any situation. Condition is Used with box. WORN TWICE. Timberland adventure seeker sandals, infant/child size UK 9.5, excellent condition, look new. They are lightweight and cushioned for little feet and my little one loves them. Infant Boys Timberland Boots Tan UK Size 6. Condition is Used. Dispatched with Royal Mail 2nd Class. TIMBERLAND BOYS ADVENtURE SANDALS SIZE Kids UK 10.5 black/red. Condition is Used. Dispatched with Royal Mail 2nd Class. Boys Timberland Sandals UK 10 Eu 28. Really lovely condition, box is available also if required! Condition is Used. Dispatched with Royal Mail 2nd Class. Boy's " Timberland GROVETON " Navy blue suede Hi-top boots. These boots are in great condition, the images make the boots look well worn, they are not. TIMBERLAND BOOTS CHILDREN SIZE 10, EXCELLENT Condition. Boys Timberland Boots Size 2.5. Used ButThey Have a Naturally Distressed Look.